What’s DOCTUS Air Cuff System ? DOCTUS Air Cuff System is a high-performance Intermittent Pneumatic Compression device and is capable of DVT preventing(Deep Vein Thrombosis), treating post-surgery edema. 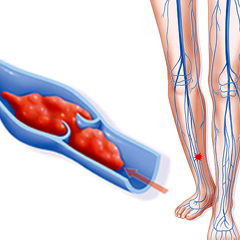 DVT is the formation of a blood clot (thrombus) in a deep vein, most commonly of the calf and pelvis. Therefore, DVT and PE can arise mainly from knee or pelvis operation besides the neurological or other operations. Healthy body suitably keeps the balance of the clotting system and the fibrinolytic system, but thrombus can arise when this balance breaks from several medical conditions that can lead to DVT, such as physical trauma, cancer, older age (the strongest risk factor). Varicose vein, antiphospholipid syndrome, surgery, immobilization (as with bed-rest, orthopedic casts, or during long-haul flights), heavy smoking, obesity, certain drugs, and inborn tendencies form clots known as thrombophilia. 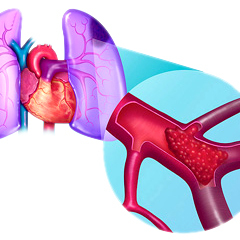 What is PE (Pulmonary Embolosm) ? Pulmonary Embolism (PE) can be arisen mainly when DVT is delivered from dismal to proximal part, lung without suitable preventive treatment. Generally, 20% of thrombus generated in the deep vein of dismal part of body is transferred to proximal part. The ration that PE can arise is 40~50%. 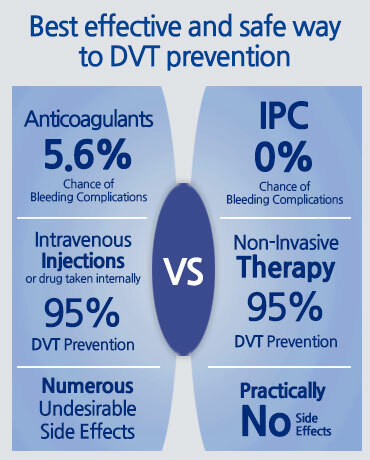 Therefore, PE is discovered from patients with DVT of 50~60%.